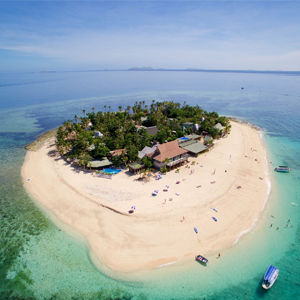 Experience the ultimate day out in Fiji choose from your own Private Boat Charter, Jet Ski Safari, Scuba Dive, Snorkeling adventure & much more! 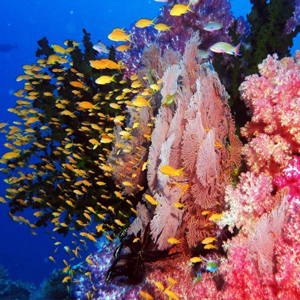 BOOK YOUR FIJI TOUR TODAY! Want a taste of what you can experience on one of our incredible tours? Check out some of the latest clips from our tours to get an idea of why this the ultimate way to discover the breathtaking scenery, diverse wildlife and rich culture that this slice of heaven has to offer. 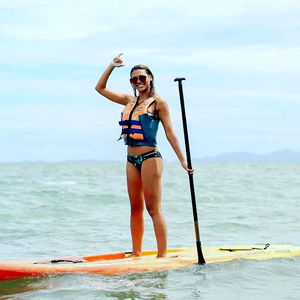 Evolution Fiji provides the ultimate and most unforgettable tours and activities in Fiji with everything from Private Boat Charters, Scuba Diving, Jet Ski Safari tours & a wide range of other Water Sports options. We are dedicated to providing a comprehensive tourism service that is both suitable for people of all ages and affordable so that you get more bang for your buck! If Jet Skis are what you are looking for then look no further you have found the best Fiji has to offer. 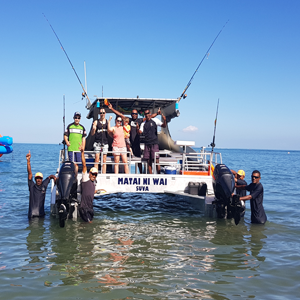 Riding on the latest 1100CC Yamaha Jet Skis, you will be accompanied alongside by our certified, experienced and our super friendly staff. They will guide you through the beautiful pristine, blue waters in and around the magical Mamanuca Islands. 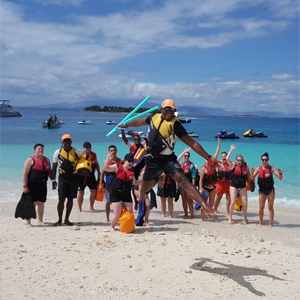 No experience OR license required for our high-octane Jet Ski tours in Fiji! There are a number of options to choose from, so check out our adventure tours to see what suits you best!